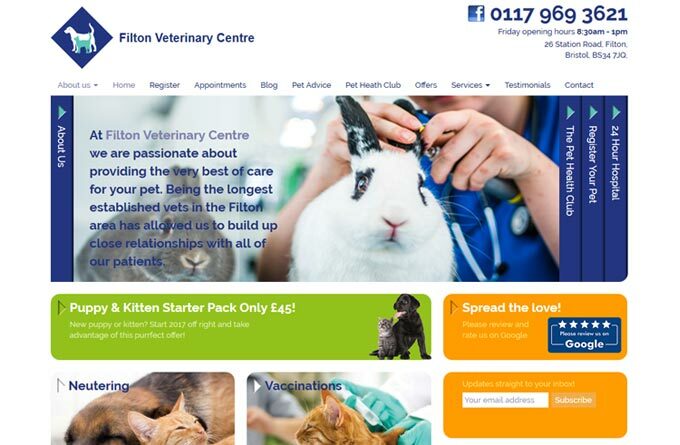 At Filton Veterinary Centre we aim to provide the highest quality of care with integrity and compassion and to put your pet’s welfare at the heart of everything we do. We have a team of highly experienced vets, nurses and receptionists. Our practice is equipped to the highest standard and is accredited under the Royal College of Veterinary Surgeons Accreditation Scheme. We are very proud that all out of hours care is provided at our Zetland Road Hospital, which is only a short drive away. This means your pet will be seen promptly by an experienced emergency vet who will have direct access to your patient’s full clinical history. We have a vet and nurse on site at our Hospital 24 hours a day, meaning there is constant supervision and treatment available for all your inpatients. Simply call us at any time 24 hours a day / 7 days a week.